The first step toward a brighter, healthier smile is locating a skilled dentist that offers compassionate and comprehensive dental services. Bradshaw Dental LLC is your destination for expert dentistry fit for the whole family. Dr. Joseph Bradshaw and his capable team of hygienists have served the oral health care needs of families for more than six years. Our clinic provides a variety of dental care services to patients both young and old who want to improve their oral hygiene. Our patients rely on us to regularly perform a number of general and cosmetic services, including teeth cleaning and whitening. We pride ourselves on taking a personal approach to your oral hygiene. Whatever the reason for your visit, our team promises to keep you informed and relaxed. Trust is vital to maintaining a positive relationship with a dentist. Finding a dentist that you trust helps you maintain your dental hygiene with greater ease. At our reputable dental practice, you can always count on our local dentist that is gentle, knowledgeable and truly concerned about your oral health. If visits to the dentist’s office make you uncomfortable, we encourage you to share those feelings with our specialists. Our staff respects your concerns and works with you to ensure you get the care you deserve in the easiest way possible. It is important to us that every patient, no matter what their age is, feels comfortable at our practice. You can rest assured that both you and your loved ones are in capable hands. Are you unsure of what treatment best suits your oral care needs? The best way to attain a brighter, whiter smile is to visit our, caring and skilled local dentist who can prescribe treatments according to your individual needs. Rely on a practice that is known for its compassion and successful treatments. We have built relationships with many repeat patients and gained new patients through word-of-mouth references. Dr. Joseph Bradshaw and his team of specialists invite you to experience the difference a treatment at our clinic can make in your daily oral health. Consider scheduling a free consultation with one of our professionals and be one step closer to the smile you’ve always wanted. At our clinic, you are always welcome to voice your concerns. We are more than happy to answer any questions you may have. Keeping smiles healthy starts with developing good habits. The younger these habits are formed, the sooner your child can be proactive about keeping his or her teeth and gums in good shape. Routine dental exams are the best way to get insight into the state of your child’s oral hygiene. Our dentist recommends that children over the age of five should have a dental exam at least twice a year. A routine professional teeth cleaning plays an important role in maintaining good oral health and a strong bright smile. Gentle, hygienic cleanings are beneficial for multiple reasons. Our highly trained dental hygienist can remove most of the stains that dull and discolor your teeth, leaving you with an overall brighter smile. Routine cleanings also give dentists an opportunity to see if other oral health risks, such as broken fillings, cavities or fractures could be affecting you. If your dental health isn’t where you would like, an immediate cleaning from our dentist can put you back on the right track. You and your family deserve the finest dental services in the area. We believe that every one of our patients should have oral care tailored to fit their needs. It is our mission to provide exceptional dental care and compassionate service that fosters long-lasting relationships with our patients. 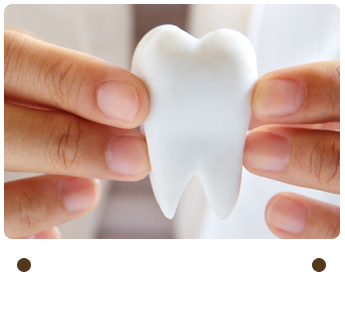 When you meet with our dentist, you can trust you are receiving personalized care from a seasoned professional. Turn to our dental practice for any kind of care and relax as we deliver a dental experience unlike any other. Contact a dentist at our clinic to explore our selection of services and schedule your appointment. We serve families in Avondale, Goodyear, Waddell, Litchfield Park, and Surprise, AZ.